If you know anything about gray then you know just how finicky it can be. The color gray (or grey) has so many variations – maybe a few too many IMHO. Choosing the rightgray (or any color, really!) can leave you a little paralyzed, no? I always hear people say “it’s just paint” and yeah…it is…but umm, hello!! #realitycheck. Who wants to paint something more than once? Not I. 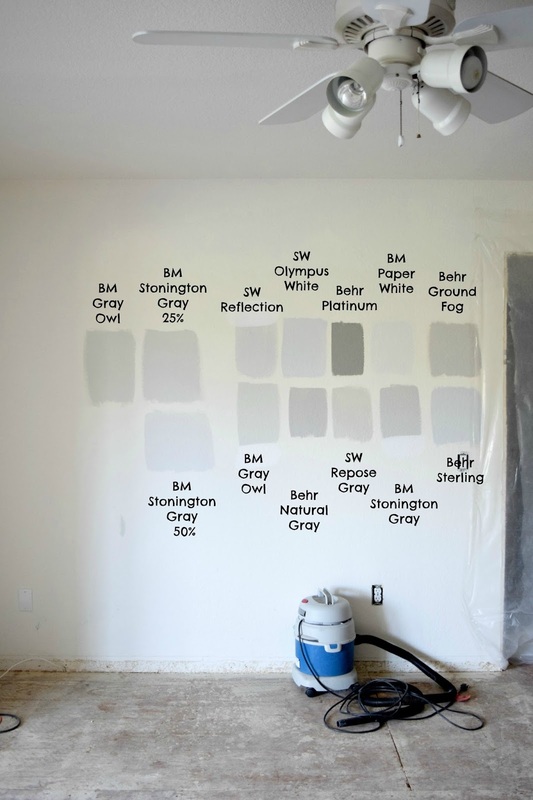 So whenever I choose paint (especially grays!) I always, ALWAYS buy a sample and try it out at home before committing. You should too. Both Home Depot and Lowe’s have sample pots for under $5 and can mix any color from any manufacture in the paint brands they carry – Behr/Glidden @ Home Depot and Sherwin Williams/Valspar @ Lowes. Knowing which color direction we were going in (gray) I headed to Home Depot armed with a long list of different grays from all different brands and asked the gentleman behind the counter to mix up some sample pots for me. I left the store that day with 8 samples and went home to try them out. 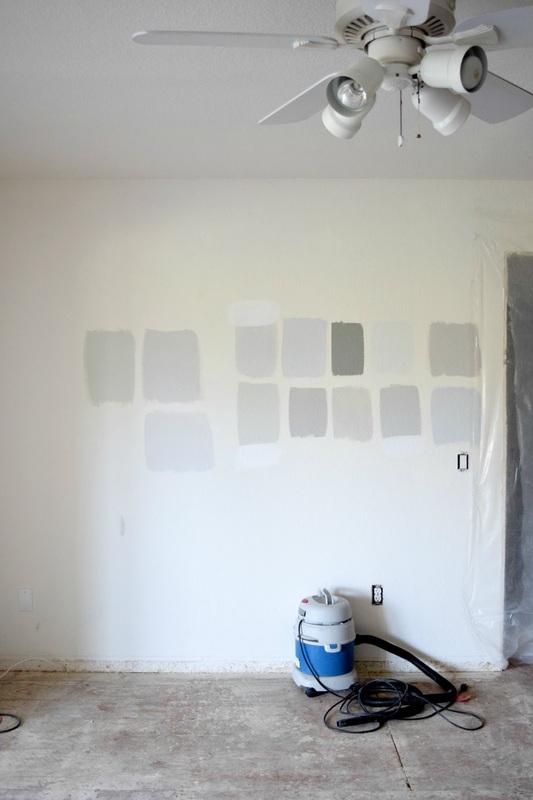 We painted these 8 colors in 5 different places around the dining/living room and sun room just to see how the color would react or change depending on the different levels of light throughout the house. It’s important to do this in multiple areas throughout the space because the same color may take on several different tones depending on how much (or how little) light those areas receive throughout the day. As I tried these samples on the wall, I knew almost immediately which ones weren’t going to work. I also knew almost immediately which one would. Gray is a funny color – some too blue, violet, brown, or even green – and seeing them all lined up next to each other made the undertones even moreapparent. Can you spot the undertones in the photo above or below? Even though I heavily leaned toward one favorite, I let S, my Mom, my Dad, even the 2 dump guys weigh in! S was firmly planted in the Stonington Gray camp and I was in love with Gray Owl…both from our buddy Benjamin Moore. While I loved Gray Owl (brown undertones) as is, Stonington Gray (blue/violet undertones) was a tad too dark for what I envisioned in this space. But I still wanted to take S’s opinion into consideration so I agreed to try a lightened version of Stonington Gray and see if that would change my mind. So back to HD we went. 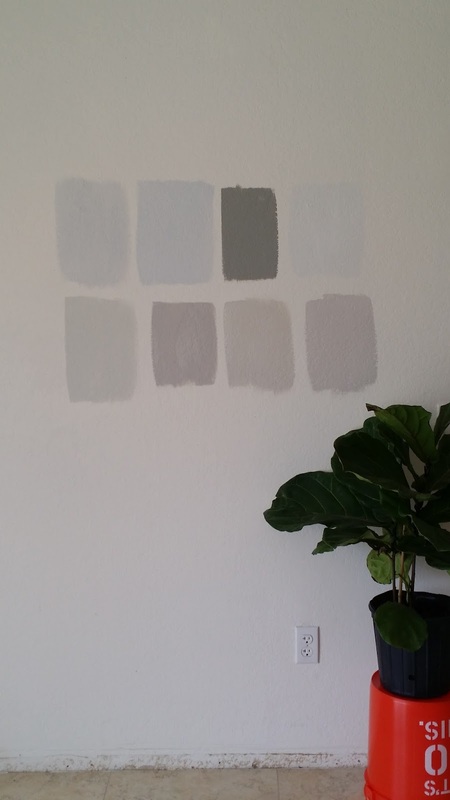 We tried these additional 4 colors on the wall and spent the next few days staring at walls. I still loved Gray Owl more than any of the 11 others. But I forged on and did what any insane person would do. I painted our entire hallway with the sample pot of Stonington Gray lightened 50%. To S it looked like I had committed to the color he chose but I was just trying to convince myself I could actually live with it – haha! By time we got home with the paint he was none the wiser. Where’s that sly looking emoji with the smug smile when you need one? The next day (while S was at work) I slapped a coat of paint on the walls and because we’re installing new baseboards and crown there was no cutting in needed! Do you? The color, not me, silly. Not sure where to start? 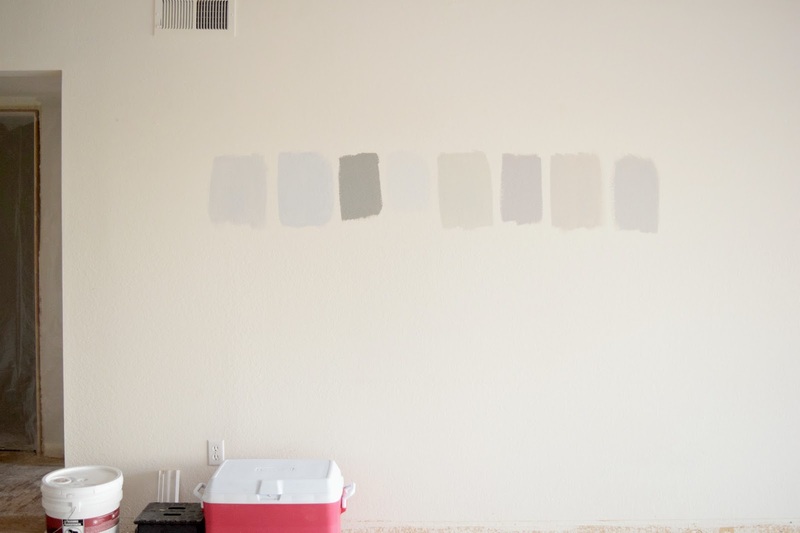 Browse your Pinterest boards and see what colors/rooms you’re drawn toward. Often times we Pin the same type, style, or look over and over. Are you pinning bold, moody rooms, or do you gravitate towards the light and bright spaces? Pinterest can tell you a lot about your own personal style and esthetic and is a great first stop on your painting journey. Bonus: if you’re not already following, be sure to keep up with me and all my latest Pins. I’m a pin-binger. Never ever buy a color based off what you see on the paint chip in the store. Even though it’s an extra step (and an extra expense), the sample pots are absolute worth it to get it right the first time around. Don’t limit yourself to only the the colors offered by the manufacture(s) your hardware store carries. Any hardware store can and will mix any color from any manufacture in the paint line(s) they carry. Paint a swatch – a big one!! – on your wall and in several other areas throughout the space you’re planning to paint. And then spend a few days staring at your choices. 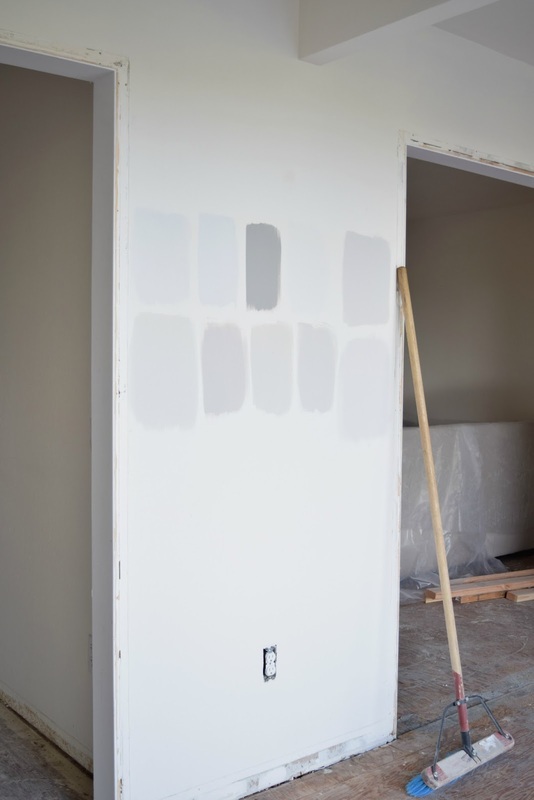 Bonus: Don’t forget to look at your paint colors at all hours of the day. Be sure to evaluate them in the morning, mid day, and night too! You’d be surprised how much the colors will change throughout the day. 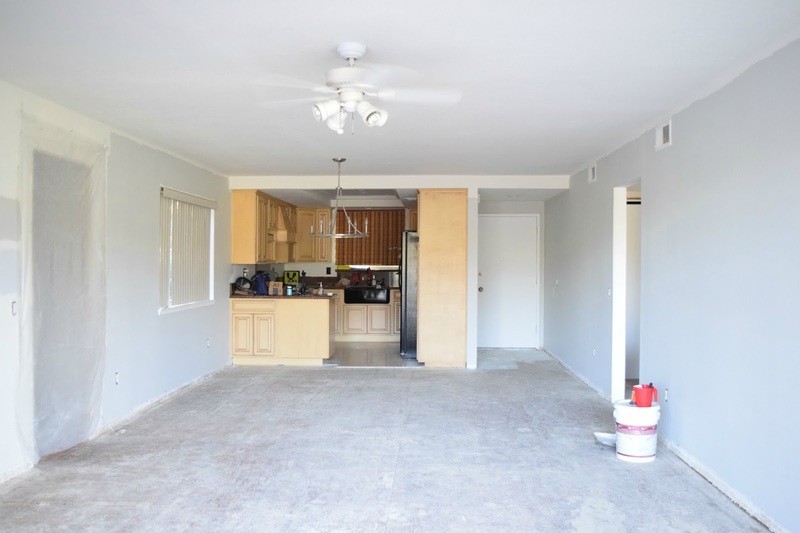 Once you’ve chosen your color be sure to ask your paint pro their recommendations regarding sheen, application, and amount of paint needed depending on your project specs. So? Are you ready to dive right in and get your paint on? Tell me! How did you choose your color? 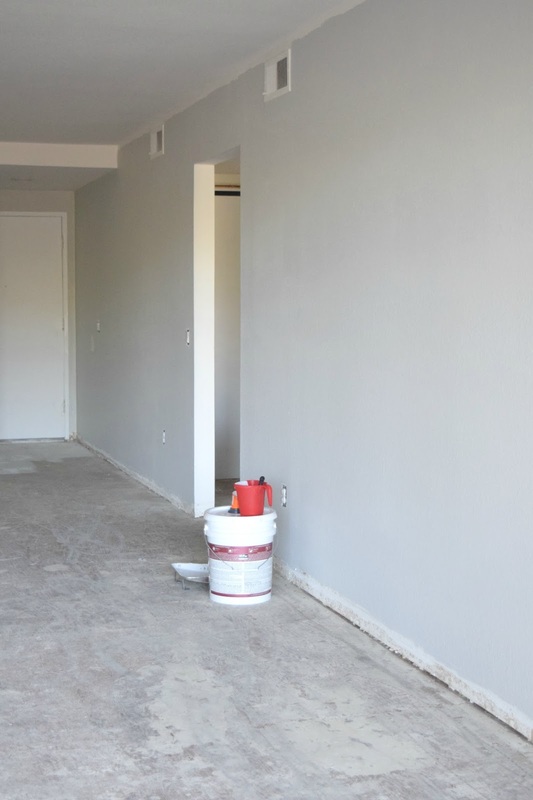 Have you ever painted your walls only to find you hated them later? Do tell! Next Post I’m a Fan!